Keeping up with the Jones is a fun little comedy. As a spy movie satire it’ll never live to last year’s Spy or even Mr. & Ms. Smith which it borrows heavily from as well. Still, it’s light and breezy direction by Greg Mottola makes for an enjoyable if inconsequential comedy. Its biggest strength is its cast. 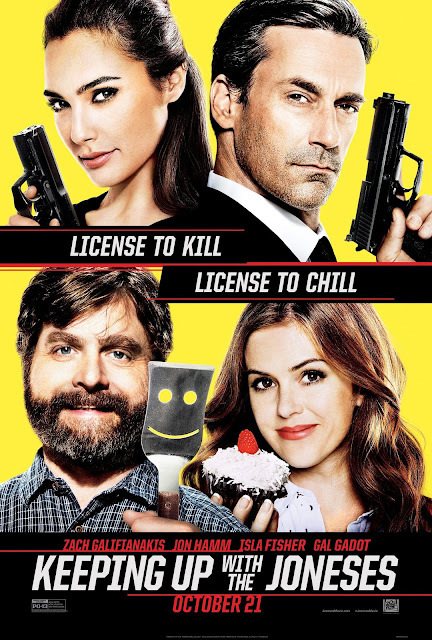 The foursome of Zach Galifianakis, Jon Hamm, Isla Fisher & Gal Gadot are likeable throughout with each shining at one point or another. The plot in of itself is thread bare with nary a surprise in sight. This oversight does leave the film lingering past its expiration point. It’s a shame because with a slightly better script and plot this could have been something special.